*** CASH PRICE ONLY, $500 REBATE FOR CASH BUYERS * LEASE AND FINANCE RATES STARTING AT 0% *** The True City Slicker. 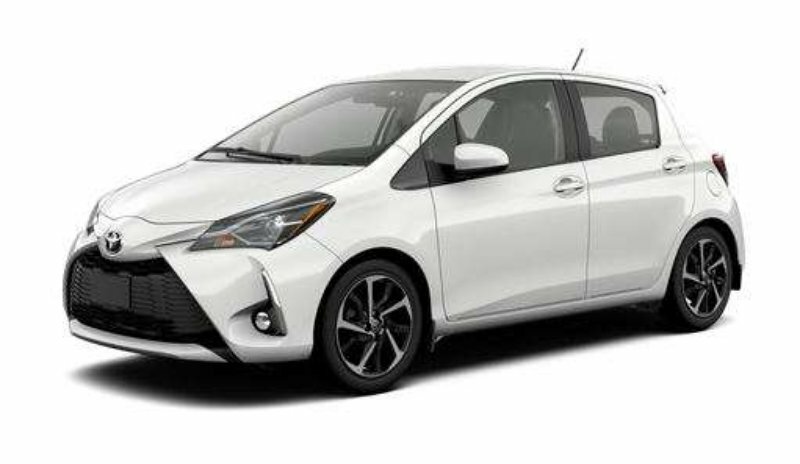 The 2018 Yaris Hatchback is the best of European styling combined with Toyota’s legendary quality, dependability, and reliability - it’s the subcompact that’s making everyone take a second look. Toyota Safety Sense C, which includes a pre-collision system, lane departure alert, automatic high beams and dynamic radar cruise control. 5-speed manual transmission, 6.1" Display Audio, Leather-wrapped Steering Wheel and Shift Knob, Heated Front Sport Seats, Backup camera and more! Collingwood Toyota can provide you with any new vehicle from our model lineup and we do not have any administration fees on new vehicle purchases. Ask about the other value added services we provide with our More For You Advantage on new vehicle purchases. All vehicles come with a complimentary full tank of gas and more! Corolla, Camry, Prius, Tacoma, Tundra, Highlander, Sienna, Rav4, Toyota 86, Corolla IM, Yaris and more. If you do not see what you are looking for, do not hesitate to call, as we can get it for you! We believe in building lasting relationships by providing guidance and fair deals. The Lockharts have been providing high quality customer service experiences in the automotive industry for 70 years. Licensing and taxes are additional fees. Rebates may apply in pricing. Call for great finance and lease rates. Some vehicle requests may require factory order or dealer trade.